Thank you for registering for the Marketing and Admissions Bootcamp co-hosted by FAME. 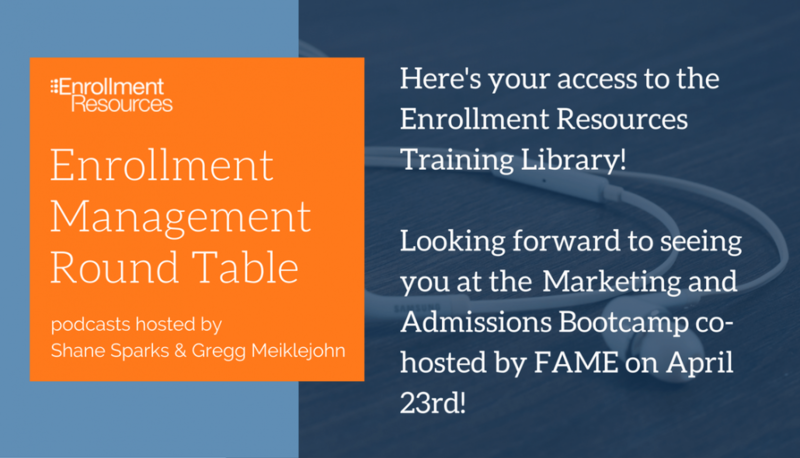 Here is your access to our complete library of Enrollment Management Roundtable Conversations. And if you ever want a second opinion on a business issue, just pick up the phone and call 250-391-9494. We are always happy to help.